Alhambra, CA - His Grace Bishop Maxim of Western America officiated at the Holy Hierarchical Divine Liturgy on Saturday, April 16, 2011, Lazarus Saturday, at St. Stevan's Cathedral in Alhambra. Later, in the church hall, His Grace welcomed guests who came to celebrate the Krsna Slava of their diocesan hierarch. V. Rev. 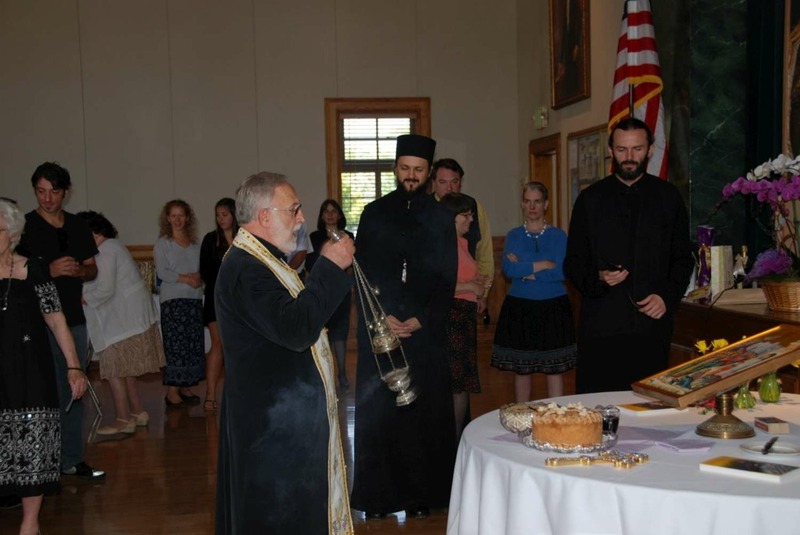 Stavrophor Petar Jovanovich served the Cutting of the Slava Kolach for the bishop.